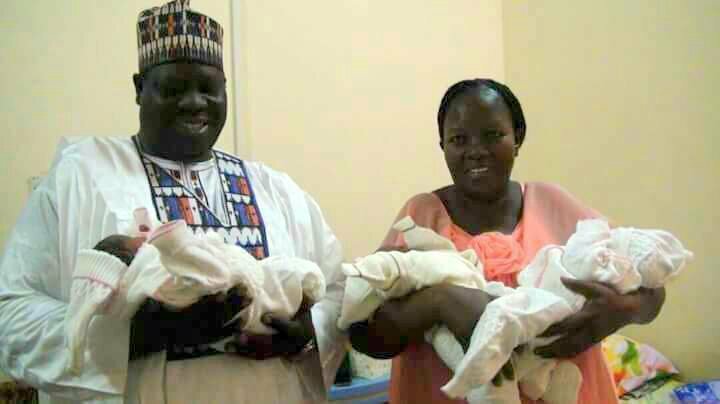 A lawmaker in the Adamawa State House of Assembly, Lumsambani Dilli, has been delivered of a triplets. Hon. Dilli represents Demsa Constituency in the Assembly. The babies are coming after 24 years of marriage to his wife. Speaking on the development, Dilli says, “Both the mother and the babies are all hale and hearty. “I can’t express the pure happiness of having a baby,” the excited lawmaker, said. Also speaking on the arrival of the triplets, Mrs. Dilli says, “The lord is good as today Mr. and Mrs. Lumsambani Mijah Dilli are blessed with triplets after 24 years of marriage without bearing a child, glory be to God,” she said.